- Paw injuries on animals now correctly wear off when the animal is healed to full. - Arm: no longer disarms commanded actors instead of non-commanded actors; no longer disarms or unequips bound weapons. - Fixed load screen typo. - Removed. Only the archery and magic speed changes are retained. The mod is again compatible with Attack Commitment. - Removed the 15% slow while casting a spell. - Bow interrupts now only occur from weapon attacks instead of spells. - Added magic effect keyword check (BookShelfBook02) that disables bow interrupts on the user, allowing for easier compatibility with other mods. - Movement speeds rebalanced: ranged attacks and spells now come at the cost of less evasive mobility. - Cannot turn while attacking. - Removed the slow while casting toggle because movement type changes can't be toggled. - Updated the description of the interrupt toggle. - Modified several load screens to match the new movement type changes. > If actor has a magic effect with keyword BookShelfBook01, timed blocking is disabled on that actor. > If actor has a magic effect with keyword BookShelfBook02, bow interrupts are disabled on that actor. - Holding a crossbow no longer drains Stamina. - Removed meaningless "Injury" message whenever an actor reaches a threshold. - Arm injury damage is now correctly 20 instead of 30. - Leg injury no longer applies while mounted. - Leg trauma now results in the target becoming heavily slowed for 5 seconds instead of knocked down. - Spine trauma paralysis now has a fixed duration of 3 seconds instead of scaling with missing Stamina up to 8 seconds. - Updated leg injury load screen. - Fixed missing script properties causing timed blocking to not work. - Spell slow reverted from 25% -> 15% and now only applies in combat. - Magic interrupt (stagger when struck while casting a spell) has been removed altogether, the interrupt feature now only applies to archery. - Arm Trauma: if the target is the player or a follower (or a commanded actor), now unequips the weapon instead of dropping it, preventing good weapons from being lost. - Attack of opportunity for 25% extra damage while casting is now disabled if the target has a ward. 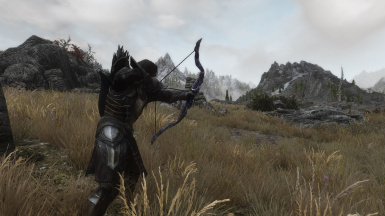 - Targets holding a drawn bow now take an attack of opportunity for 25% increased damage. - Fixed incorrect NPC magic cost multiplier. - Dual cast effectiveness reverted from x2.75 -> x2.5. - Dual cast cost increased from x1.75 -> x3. The idea is that dual casting offers more DPS at the cost of lower efficiency. This is also how it works in vanilla, but the extra DPS is too low to warrant the huge loss in efficiency. These numbers should work better, gaining 25% more DPS for 50% more mana. - Replaced the MCM with an exact copy of itself. - Updated attacks of opportunity load screen. - Updated spell slow load screen. - Updated arm injury load screen. - Replaced interrupt load screen -> increased damage while casting load screen. Cast interruption in 4.00 was an attempt to implement the commonly requested microstagger on hit, albeit sandboxed away from the rest of the mod (and with less script load). As it turns out, it is easy to hit often enough to stagger lock mages. The feature has been reworked in 4.02 to apply only to dual casting (except ritual spells), but dual casting itself is more effective. This is still an experiment. If mage stagger is still overpowered, it will be removed in the next update. - Stagger on spellcast now only occurs when dual casting. - Changed dual cast cost from x2.25 -> x1.75. - Updated spell slow description. - Fixed NPC and PC injury chance being inverted. - Updated stagger load screen. - Movement is now slowed when casting a spell, instead of when NOT casting a spell. This is going to be a very simple changelog. Version 4.00 is literally a new mod, rebuilt from the ground up to get rid of some junk and add new features more easily. 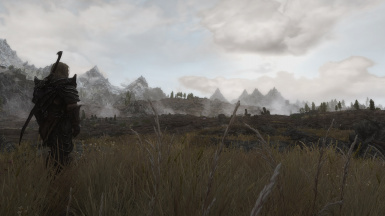 You may need to follow the DynDoLOD update procedure: sequester yourself in an interior cell, save, uninstall, load, save, install new version. - Number of injuries reduced from 15 to 5, however each injury also comes with a "trauma" that has an instant effect (undead are immune). Taking an injury results in a bleed visual. Injuries are rarer in general. - Stamina costs for bows. - Ranged combat is risky: getting hit while casting a spell or holding a draw bow staggers and interrupts you (and everyone else). High lethality still gives range an advantage, but keeping the enemies away is very important. Mages are no longer dominant. - Several damage modifiers updated. - Several game settings updated. - Made minor changes to a few stagger related game settings to allow them to overwrite Combat Evolved. - Renamed injury debuffs to line up better in the upcoming post-SkyUI world. - Reduced base injury chance from 25/50% -> 20/40% (not retroactive). - Added injury and stagger toggles (effect is not retroactive). - Added difficulty settings for each difficulty. - Updated Disable Cloak description (not retroactive). - Prevented many combat styles from dual wielding again. - NPC ability is no longer also applied to the player. If your stamina costs are doubled, make a clean save. If not, you probably still want to make a clean save, because injury chance is also doubled. - Updated the included copy of the Modern Brawl Bug Fix to 1.04. - Included the Modern Brawl Bug Fix scripts. - Brought back a small amount of auto aim (0.5 degrees, or 1/4 of vanilla) in third person, because aiming in third person is already much harder. - Dynamic Combat toggle no longer disabled by !HasSpell(SFL_Cloak_Spell_Ab). - Updated some descriptions in the MCM. Tons of people seem to be turning off Dynamic Combat just to turn off injuries, unaware that it will also turn off all the damage modifiers. Instead, set injury chance to 0%. In 2.08, I will eliminate injuries altogether. Note: the magic effects applied to the player and other actors have been changed in major ways. Type Help "Combat Cloak" into the console, Player.RemoveSpell [xx88888C hex ID you get back], fast travel somewhere and save/reload the game, then add it back with Player.AddSpell. Don't simply "Disable Dynamic Combat" in the MCM - that won't do anything until you perform these steps. I experimented with a feature similar to Vigor where you deal and take more damage when moving forward and less when moving backward. Even with the values cranked up to double damage and no damage, it still didn't feel interesting because you can press the button a millisecond before impact and it will count. It encouraged pushing against the opponent to deal more damage, then tapping the back button when you were about to get hit. The concept of Wildcat is that you can drop it into a load order and forget about it. This means combat should be intuitive. Getting rekt at low health is intuitive, but tapping movement buttons to gain an edge with few downsides is not. - Sitting duck: attacking a sitting or sleeping target is a guaranteed critical strike that deals five times critical damage. - Stagger on self reduced from 0.15/0.3/0.45 to 0.15/0.25/0.35. - Stamina cost for attacks increased from 6 -> 10 to go with the increased regeneration; two-handed weapons now cost 50% more Stamina; cost is no longer erroneously doubled if you never changed your character's race. More stagger makes combat feel more visceral, but can also lead to unfair stunlock deaths on both sides. Stagger on every hit (aside from the script load implications) discourages power attacking and interrupts in favour of equipping a faster weapon than the opponent and hammering the attack button the instant they drop their block. - Added Bone Injury: armor reduced by 150 points. - Arm/Front Leg: fixed stagger strength erroneously being 0.5 -> 0.15. - Foot: reduced stagger strength from 0.5 -> 0.4. - Hands: fixed stagger strength erroneously being 0.5 -> 0.25. - Muscle: fixed script gaffe. These spells have not been added to the levelled lists yet (the goal of Wildcat is to sit in the background, not to go and add stuff to vendors - especially when it it is not actually possible to remove it again without resetting the whole Litem because there is no equivalent of RemoveAddedForm for formlists). You can however spawn a "Wildcat Chest of Spells" to give you D050 Inflict Injuries, D075 Transfer Injuries, R025 Treat Injuries, R050 Treat Other, R075 Resist Injuries. Blocking has a problem in that block bonuses do not multiply in a nice way. Having -20% damage taken and -50% damage taken causes you to take 40% damage, but +20% block and +50% block adds up to +70% block, which is 40% better than +50% alone. The more block you have, the better additional block bonuses become, until you hit the cap and they become useless. Hitting the cap in turn makes block perks useless, meaning you just wasted a number of perk points. Welp. - Increased timed block bonus from 20% -> 25%. Since the MCM will become unusable with Skyrim SE (and there is no console on consoles), I'm reluctant to expand the MCM. If many people use the MCM or want additional options, that means the defaults are wrong. - "Disable Dynamic Combat" now sets a condition flag instead of removing the spell (only to have it added back by the ref alias). - Fixed a few outdated loading screens. - Injured Heart: now deals a very large amount of damage instead of killing the victim. This should ensure compatibility with mods that add functionality after you die but do not make the player essential for some reason. - Injured Knee: reduced knockdown push strength from 7 -> 2. - Now correctly greyed out when reloaded after disabling Dynamic Combat. I could add a number of spells in a future update that interact with injuries (treating them, causing them or being more effective against injured targets). The issue is that adding spell tomes to a levelled list is irreversible without deleting ALL spell tomes added by any mod from the same levelled list. What if someone turns Dynamic Combat off and is stuck with those now-useless tomes? - csFalmerMagic: carried over Dawnguard equipment bias. - Injured Heart: is not applied if you are affected by a disease that reduces maximum Health. - Version without DLC is now available! Found and fixed the CTDs! - Fixed corrupt combat style csCWSoldierMissile. - Fixed corrupt combat style csDraugrBerserker. - Fixed corrupt combat style csWESpellsword. - Fixed corrupt combat style DLC1csChaurusHunterRanged. - Fixed value out of bounds in combat style csSkeever. - Fixed value out of bounds in combat style csWolf_Ice. - Fixed value out of bounds in combat style csWolfInterior. - NPC attacks again cost Stamina. - Undead can again receive (bone) injuries. - Reverted NPC poison buffs. 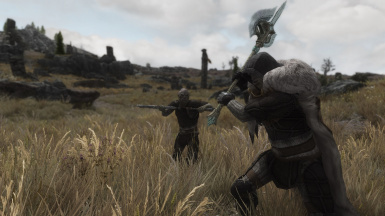 Note: the magic effects applied to the player and other actors have been changed in major ways, so you should disable Dynamic Combat in the MCM, fast travel elsewhere (ideally both of these before upgrading) and reenable Dynamic Combat. --- Undead are now immune to wounds. --- Animals and dragons now have the same injuries (removed Injured Wing). --- Removed variable NPC attack speed. --- Cloak no longer endlessly reapplies if the target is immune to injuries. 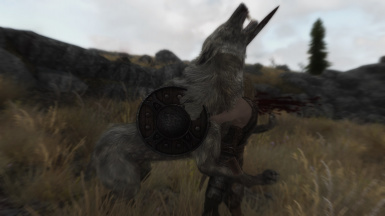 - Player is no longer stuck with undead injuries if they are a vampire upon installing the mod. - Cloak buff now lasts 30 -> 120 seconds. - Reduced cloak range from 150 -> 125. - Threshold stagger on the player is no longer too effective. - Injured Spine no longer works on actors that are immune to paralysis. - Replaced the variable NPC attack speed load screen -> undead injury immunity load screen. - Changed incoming damage on Expert/Master from x2.0/2.5 -> x1.75/2.0. - Changed outgoing damage on Novice/Apprentice from x2.0/2.5 -> x1.75/2.0. - fCombatBashReach: 150 -> 120. - fCombatDistance: 150 -> 120. - Timed block now only staggers targets within 192 range. - Carried over several Dual Wield flags from EFF. - Increased lethality by the player on Expert and Master, and lethality to the player on Novice and Apprentice, to avoid the wet noodle effect. - All melee attacks now deal 25% more damage, both by and to the player, except sneak attacks. The idea is that high lethality disproportionately benefits ranged attackers who can delete opponents before they have a chance to close the gap. When it turned out that Adept was accidentally x2/x2 instead of x1.5/x1.5, I did some testing with the old value and it was actually pretty great that way, at least for chivalrous melee combat. Ranged combat was another story: both the player and enemy shock mages could delete their targets from a distance with little counterplay. Therefore, after changing the difficulty back to what it should be, I added a bonus to melee damage. This also provides me with an additional lever going forward, since I can now tweak melee damage and ranged damage independently if necessary. Note that if you installed the mod before 1.03, your Adept difficulty is incorrect and you need to use the MCM or change SFL_AdeptDamageBy_Global and SFL_AdeptDamageTo_Global to 1.5 instead of 2.0. - Added notice about timed blocking and script speed. - Due to a bug, the Adept damage multiplier for damage dealt and taken was actually x2.0 instead of x1.5. This has been fixed, but the fix is not retroactive until you go in the MCM and change it (or change SFL_AdeptDamageBy_Global and SFL_AdeptDamageTo_Global using the console). - Added a missing spacer. - Increased the damage and/or duration of most poison attacks. - Attacks now cost 6 points of Stamina. - Added tip about the attack damage reduction at 0 Stamina. - Setting injury threshold 1 no longer erroneously modifies threshold 3 instead. Most features in Wildcat can be tweaked or disabled using the Wildcat MCM. Tinkering is strongly recommended! Not satisfied? 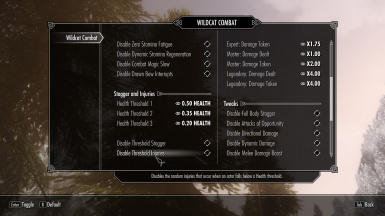 The Wildcat MCM allows you to choose your own difficulty values, so you can customise the game to your liking. [/color].